On the heels of reports that Christianity was the most persecuted religion in 2016, we find that the UN is no friend of the Christian faith. Of course, the UN is no friend of America or Israel either for that matter. It never seems to miss an opportunity to take a swipe at America’s leaders, unless those leaders happen to be confirmed globalists such as Obama or Clinton. 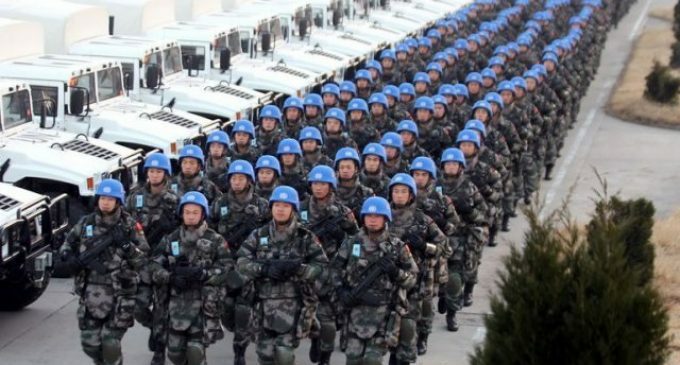 The UN is truly an organization that has never lived up to its expectations. Wars continue. Genocide continues. Religious persecution continues. The UN sits there, impotent. About the best the group can do is issue some condemnations, usually directed at the protagonists in a conflict, or appoint a bunch of despots to committees purportedly to establish justice. Just close the thing down and be done with it. One more piece of evidence of not only the uselessness, but also the danger of the UN can be seen in its war on Christianity. More on page two. Can’t fix stupid, there’s a reason no standing armies have attacked the mainland since the war of 1812. Hell, we’ll shoot at each other (ref. American CivilWar). Better keep those flunkeys out of our country, or there are going to be an awful lot of their baby blue helmets with holes in them!! Get rid of UN! Don’t fund them and remove from USA! well then, come on over blue hats! easy targets. yes it is the beginning of the end but, He which will let has to be removed first. then the blue hats can take over.